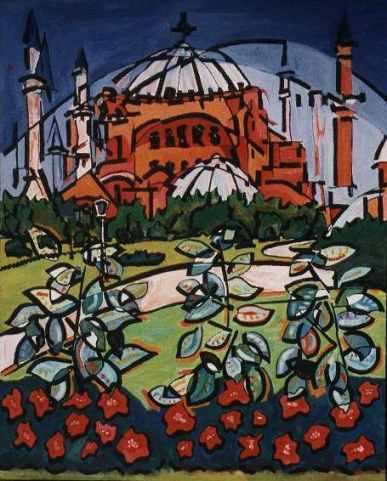 When Ataturk declared the former Mosque and Church a museum, he knew what he was doing. A most fantastic structure, inside and out, I spent time at this building every day for a month and have painted it three times. This is the second of three paintings I have completed of this former mosque and Church of Holy Wisdom.